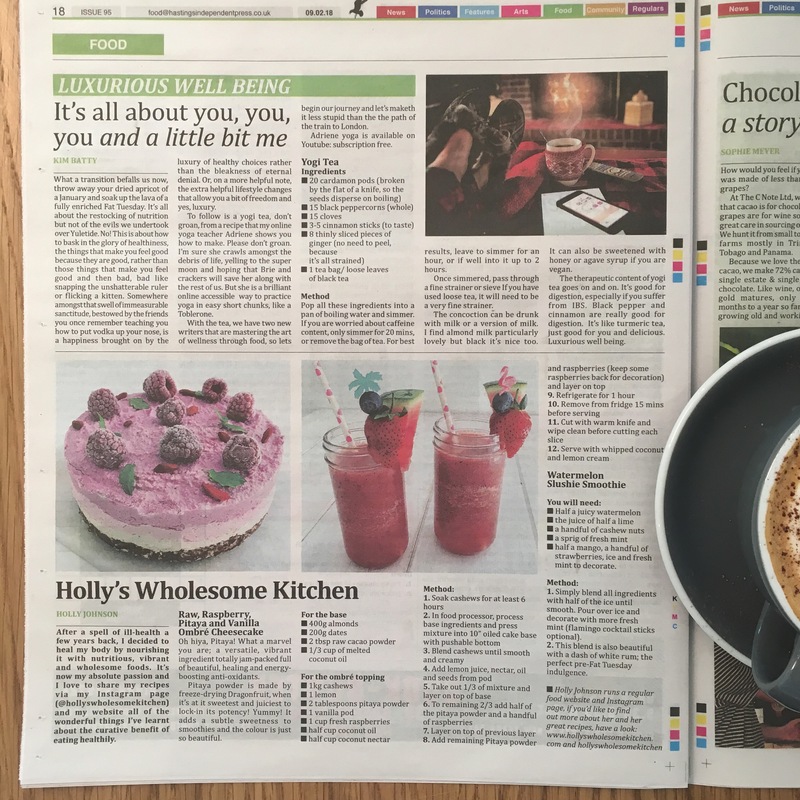 Holly’s Wholesome Kitchen is in the press! Ahhhhhh! Go grab yourselves a copy of the amazing Hastings Independent to see my raw Pitaya & Raspberry Ombré cheesecake and my delicious Watermelon Slushie Smoothie recipes 🍉🍉🍉 This is just the best thing and I am sooo happy and grateful as it’s been a dream for a long time. I absolutely love this newspaper and it really keeps our community connected. I look forward to sharing more of healthy recipes in the future. Congratulations on making it into the paper.